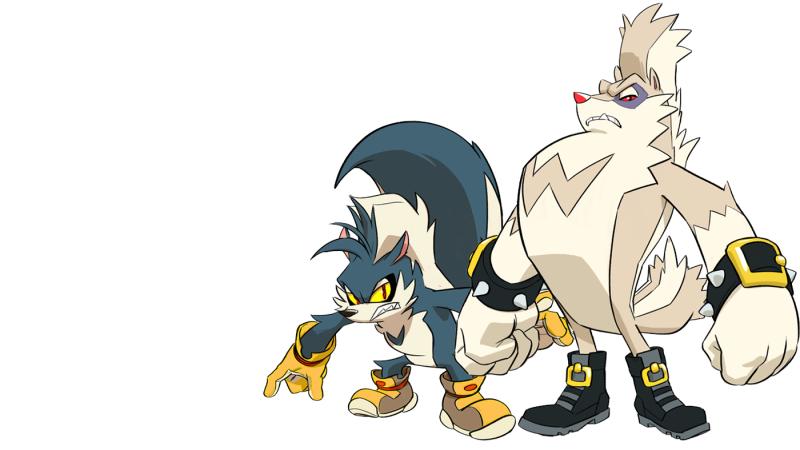 Meet Rough and Tumble, two brand new Sonic comic villains. A new era of Sonic comics begins in April, when IDW releases the first four issues of its Sonic the Hedgehog series. The skunk brothers above are Rough and Tumble, a pair of new villains who’ll be causing a stink for Sonic and Knuckles in issue three. Rough is on the left and Tumble is on the right.